9:30 AM PDT 7/27/2018 by Paul Bond, The Hollywood Reporter. Within minutes of the first news reports, the stock took a nosedive on surging volume. Shares of CBS are falling 7 percent in midday trading on Friday after news broke in The Hollywood Reporterthat Ronan Farrow’s latest New Yorker expose includes sexual misconduct claims of “unwanted kissing and touching” against Leslie Moonves. Within minutes of the first news reports alleging bad behavior on the part of Moonves, the stock took a nosedive on surging volume. Investors who are quickly hitting their “sell” buttons aren’t only worried about legal liabilities, they’re also signaling how important Moonves is to the future of CBS, not to mention Viacom, which had been discussing merging with its sister company, presumably with Moonves taking charge of the larger entity that would emerge in such a deal. 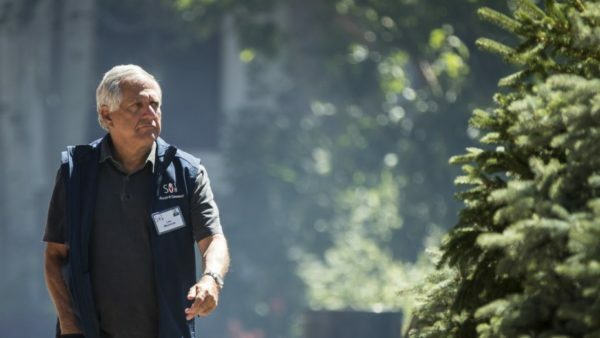 The fact that investors are selling ahead of Friday’s blockbuster report from investigative journalist Ronan Farrow indicates that Wall Street has doubts that Moonves can survive at CBS. Moonves is not only one of the most powerful media moguls on the planet, but also one of the most effective ones. Prior to Friday’s swoon, CBS shares had risen 1,200 percent in nine years, and he recently told Wall Street to expect record financial results in 2018, even as other media conglomerates are struggling to keep up with Netflix, Amazon, YouTube, Apple, Facebook and the like. The record profits he predicts are in large measure due to retransmission fees, which had only been paid to cable networks until Moonves introduced the concept to broadcast networks, as well. His most recent challenge is attempting to wrest control away from National Amusements, run by Sumner Redstone and his daughter Shari. That entity holds sway over both CBS and Viacom through voting shares that Moonves is trying to dilute lest Shari try to force a CBS-Viacom merger under terms that are not advantageous to CBS.